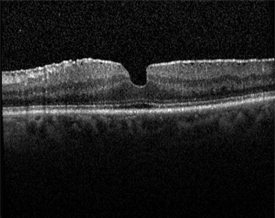 Epiretinal Membranes (ERMs), also commonly known as cellophane maculopathy or macular puckers, are avascular (having few or no blood vessels), semitranslucent, fibrocellular membranes that form on the inner surface of the retina. 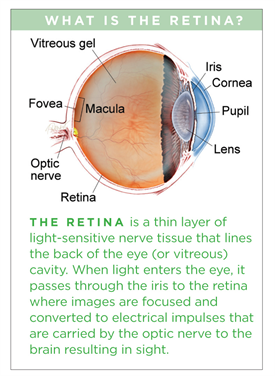 They most commonly cause minimal symptoms and can be simply observed, but in some cases they can result in painless loss of vision and metamorphopsia (visual distortion). 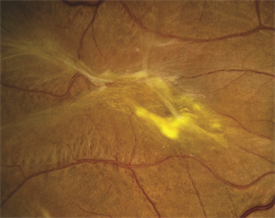 Generally, ERMs are most symptomatic when affecting the macula, which is the central portion of the retina that helps us to distinguish fine detail used for reading and recognizing faces.